With an impressive amount of experience and their unmatched dedication to cooking, our chefs will always do their best to make sure you enjoy your meal. Chef Joshua Schlink started working in the kitchen of a local St. Louis French restaurant, Malmasion, at the age of 14 where he realized early on that he had a love for fine food and service. Inspired by his grandparents, who owned a cattle farm and several acres of crops in Northern Arkansas, he quickly learned that his passion centered on fresh high-quality standards and creative farm-to-table cuisine. Having graduated at the top of his culinary school in Indianapolis, Chef Schlink worked his way through the ranks in some of the U.S.'s top country clubs, hotels, and mega-resort casinos. Prior to joining Boyd Gaming, he was assistant executive chef at Mandalay Bay Resort & Casino Las Vegas, orchestrating banquets for more than 10,000 people and managing a chef brigade of sixty chefs and seven hundred culinarians in twelve restaurants. Chef Schlink is not new to Ameristar St. Charles; he first worked as the banquet chef on the opening team for the conference center in 2008. Joshua also spent several years working at New York New York Resort & Casino Las Vegas as Executive Chef for Gallagher's Steakhouse, and banquet chef and sous chef at Lutece restaurant within the Venetian. Prior to Las Vegas, Joshua spent several years working for Vail Resorts at Game Creek Lodge and Larkspur Restaurant in Vail, Colorado. Chef Schlink returned to Ameristar in 2015 as the Assistant Executive Chef, and in 2016 was promoted to Executive Chef at River City Casino & Hotel, St. Louis. In early 2018, Chef Schlink transferred back to Ameristar Casino St. Charles as Executive Chef, where he oversees a culinary team of three hundred plus, serving nine restaurants. Joshua works with a great deal of energy and has an absolute love for his profession. Joshua is 100% guest centered and is determined to provide a consistent and memorable experience, every time. He is an active volunteer in the local St. Louis area food bank and regularly participates with his children's schools, teaching youth the importance of homegrown food. Joshua has been married to his wife Laura for eleven years, and has three daughters and a son. 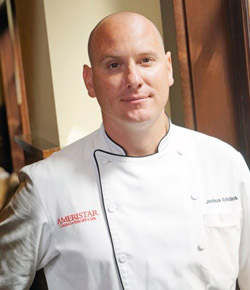 Michael LaPorte joined Ameristar St. Charles as the Vice President of Food & Beverage in January 2018, overseeing seven restaurants, a coffee shop & bakery, banquets, room service for our AAA four-diamond hotel, all bars in the casino, a rock & roll bar, a world-class nightclub, a private club for players, and a team member dining room. The food & beverage team at Ameristar comprises over 600 team members responsible for delivery of a great product with warmth and hospitality. By providing dynamic leadership and innovation for all strategic planning and processes, Michael continues to oversee and further the success of the food & beverage offerings at Ameristar. Michael was born in upstate New York before relocating to New York City where he got his start in hospitality as a bartender. 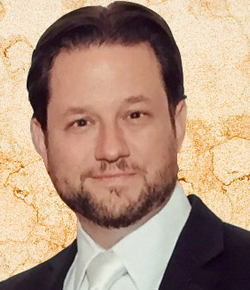 Michael has lived and worked in New York City, Melbourne, Australia, and Las Vegas before relocating his family to Greater St. Louis. Before joining Ameristar, Michael was the Executive Director of Restaurant Operations for internationally renowned Hakkasan Group, overseeing 23 restaurants in the United States. His high standards for service, food quality, and hospitality stem from years of experience in leadership positions at some of the most impressive dining, hotel, and entertainment establishments in New York, Las Vegas, and Australia, including the Amsterdam Hospitality Group, Limelight NYC, and Angel Management Group. In 2000, LaPorte opened The Next Blue at the Crown Casino in Melbourne, Australia. In 2002, he re-opened the Limelight in NYC as Estate with nightlife impresario John Blair. In 2010, he joined Angel Management Group (AMG) to help re-define fine dining in Las Vegas. AMG would become Hakkasan Group in 2013. Michael earned his first Michelin Star at Hakkasan New York in 2013, a feat that was repeated in 2014, 2015, and 2016.